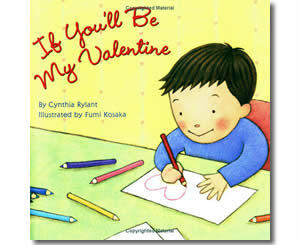 Cute picture book that shows how a little boy shares valentines with things and people he loves. The youngster writes valentines to his cat, his teddy bear, a bird, his grandmother, a neighborhood girl, his mom, and other family members. This is a great book to share with young children to explain that Valentine's Day is a day that people express their love and appreciation towards others.